Extending your business to suppliers, partners, and clients through Web applications offers numerous benefits: brand enhancement, access to Realtime information, and quick online transactions, all while reducing cost and increasing revenue. However, extending your business to the Web comes with significant risk to applications, databases, and critical data that are continuously exposed to more sophisticated and targeted threats. Protecting the processing and transmission of critical information through Web applications while complying with government and industry regulations can be a complex, labour-intensive undertaking – one that must be approached as part of a comprehensive application security strategy. 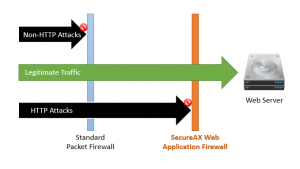 Web application firewalls have emerged as an important part of an overall application security strategy for protecting an organisation’s most critical assets, maintaining business continuity, and complementing other application security practices. 1. As IT teams explore the role Web application firewalls must play within their security practice, they’re finding they require significant resources and expertise to implement, maintain, and monitor them. The Dimension Data Web Application Firewall Service offers a managed solution for the efficient monitoring and management of Web application firewall devices. 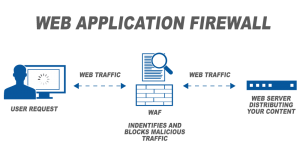 Delivered through market-leading technology, proven processes, and skilled people, the Service simplifies the use of Web application firewall technology. It helps protect online applications against sophisticated application-level attacks, including SQL injection and cross-site scripting, and the theft and leakage of data from online applications. Network-centric security investments, such as firewalls, intrusion prevention systems, and database and log management technologies. Web application firewall management, monitoring, and maintenance by experienced security analysts in Dimension Data’s Security Operations Centre (SOC). 24/7 performance and availability event monitoring, providing constant vigilance for your perimeter security. industry best practices to ensure a high level of network access and information availability, integrity, and privacy. access to highly trained security experts who act as an extension of your in-house IT team, providing analysis, configuration, content development and maintenance, and use case development. a client security portal that provides full visibility of your security and compliance posture, giving you the intelligence and analytics you need to easily understand your risks, demonstrate compliance, and make better security decisions. advanced reporting functionality integrated across all of Dimension Data’s Managed Security Services. Total Application Security is industry’s first truly integrated web application security and compliance solution. It helps organizations detect application layer vulnerabilities accurately, patch them instantly without any change in code, and continuously monitor for emerging threats and DDoS attacks to mitigate them. Total Application Security detects application-layer vulnerabilities accurately with web application scanning (detect), patches them instantly with web application firewall (protect), and monitors traffic continuously for emerging threats and DDoS attacks (monitor). It also includes 24×7 managed service support to perform pen testing, create custom rules, and maintain zero false positives.